The Big Peach were a band that I came across through a friend who couldn’t stop raving about them. Such was his enthusiasm and excitement, I found myself compelled to interview them after seeing them perform live in front of a packed-out crowd at last year’s When In Manchester festival. After a friendly chat from this group of young friends- two of whom are brothers, I became a fan almost instantly. Since then, a CD has been released, press coverage has escalated and The Big Peach have secured their place on the Manchester gig circuit playing with the likes of Goa Express and at trendy venues such as popular Northern Quarter haunt and hang out, Jimmy’s. 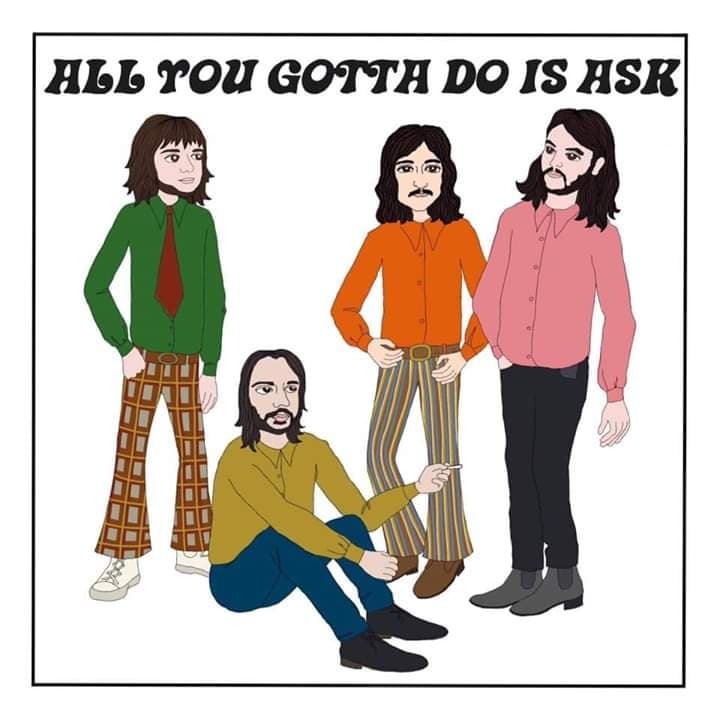 All You Gotta Do Is Ask is their first single of 2019 and is a playful and upbeat nod to 60s bands such as The Kinks, or The Rolling Stones and as such; a clean and easy Rock n Roll track and the perfect way to ease them into a brand- new year. It is playful, youthful and an ode to being young, free and full of hope and optimism. Built around just a couple of chords, with a simple key change for the chorus and instrumental interlude, it’s a song about simple opportunities and asking for what you want. 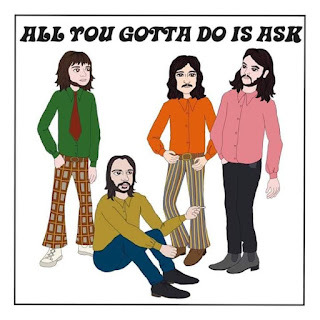 In a world where politics and economics are very uncertain, this song serves as a reminder to take life into your own hands: ask for whatever it is you want. Could things really be as simple for us all as a Big Peach song? Have a listen and see for yourself.